Overview With comic conventions becoming some of the biggest hobby events each year, it is not a shock that comics and other collectible art has seen a continued rise in popularity and value. While this is not news to most people out there, one thing that might not be as clear is how to protect, transport and store these pieces. 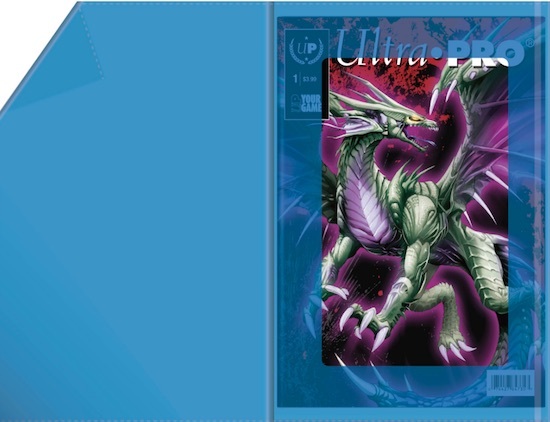 Fortunately, Ultra Pro has several intriguing options that fill this need. Many of these supplies easily transition to sports collectors, as well, to make use of in their own collection. Click on the listings or images to shop for displays on Amazon or eBay. All measurements are approximate. 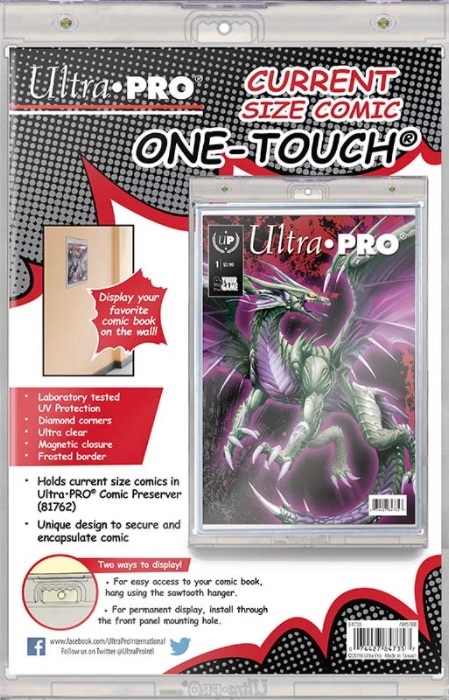 Presenting the same level of protection and quality that collectors have experienced with the trading card One-Touch line, the One-Touch Comic is an oversized case specifically for your valuable or treasured comic books. The case sizing even allows for enough room to fit Comic Preservers. As a jumbo One-Touch, standard features include diamond corners, dual magnetic closures, frosted borders and an ultra clear display. 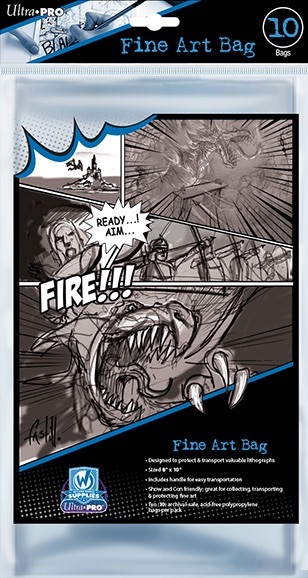 An added appeal for those who plan to showcase their comic, the case also offers UV protection. Perhaps most intriguing to comic collectors who want to both protect and prominently display their books, the case comes with a sawtooth hanger section in the back. This allows collectors to hang the comic case like a picture on the wall using a nail. 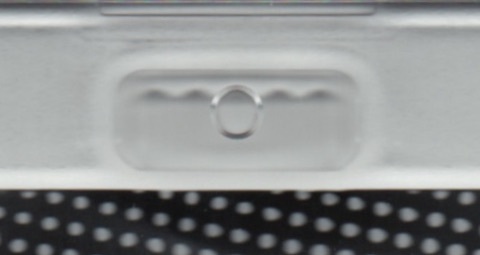 For further security, a front hole is available that mounts the case to the wall and secures the case in one. A unique sleeve designed to protect and transport comics in the process of being signed, the Signature Series Comic Bag ultimately results in minimal direct handling, which is the preferred route. The protection also extends to grading the signed comic, and allowing for multi-step usage. For those not sure what to make of the blue tint, it actually helps specify the signing area so there is no confusion. 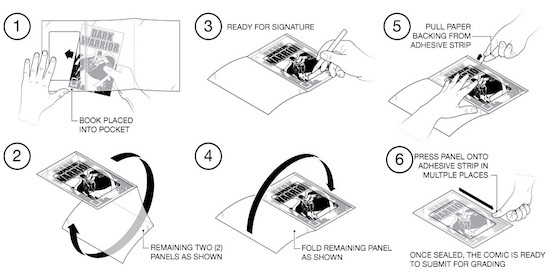 Once the comic is in the bag and signed, the book-style flap can be folded over and an adhesive strip seals the comic book in the bag for grading. 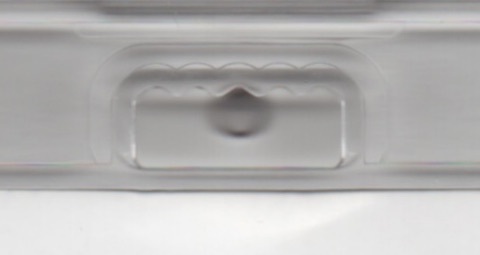 Ten bags are included in each package. A complete visual breakdown of the usage can be seen below. Sized for 8" x 10" items, the Fine Art Bag is a great option for protecting and transporting anything that size (or smaller) in a convenient package. Obvious options would be signed photos, comics or anything else where ease of transport is met by the need to properly protect the item in question for a short period. An ideal usage would be at card shows or comic cons. The archival-safe bags are made of acid-free polypropylene and include die-cut handles at the top. Every package comes with ten bags. Very similar to the Fine Art Bag, the crystal clear Lithograph Bag is simply bigger and sized for 11" x 17" collectibles and art. This increased size allows them to even fit baseball lineup cards. It too features die-cut handles and archival polypropylene film with ten bags in each set. 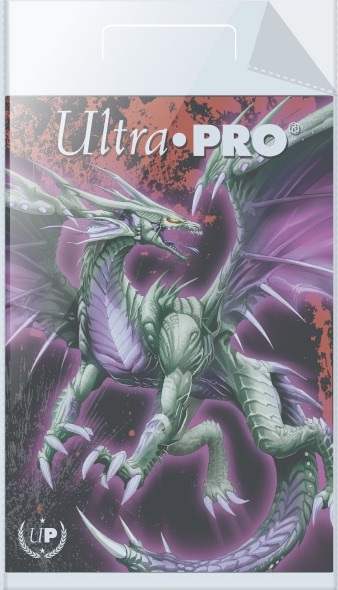 Comic Bags 100 Count Current Size Ultra Pro Clear Poly Book 6-7 8"x10-1 2"
Comic Bags 100 Count Silver Size Ultra Pro Clear Poly Book 7-1 8"x10-3 8"